Russia has been busy lately. Area denial / Anti Access bubbles are popping up from Syria to the Arctic. Snap drills are mobilizing hundreds of thousands of soldiers in a moment’s notice. Brigades and entire divisions are relocating across the vast nation in days. Russia keeps moving its assets with rapid and unannounced moves. While most of these drills, relocation's and exercises have been just what they look like. Russia has been steadily improving its strategic position along its western border. Russia is also sending a clear message to the west. “We can go to war at any moment.” A prime example of this signaling was the combined arms invasion of Norway, which was simulated in mid-October. Exercise included thousands of marines and soldiers, a missile brigade and the aircraft-carrier squadron that blocked the route for NATO: s reinforcements. Surprisingly the squadrons most potent platform isn’t the carrier. The Kirov-class battlecruiser Pjotr Velikiy is the largest surface combatant commissioned today and it’s very potent long range anti-aircraft and anti-ship weaponry. The AD/A2 bases serve a similar purpose as the carrier squadron did in the case of Norway. They compose of a triad of long range missile systems: Ballistic Iskander-M, Anti-aircraft S-400 and the anti-ship Bastion. The triad allows Russian military to block or at least hinder hostile forces. 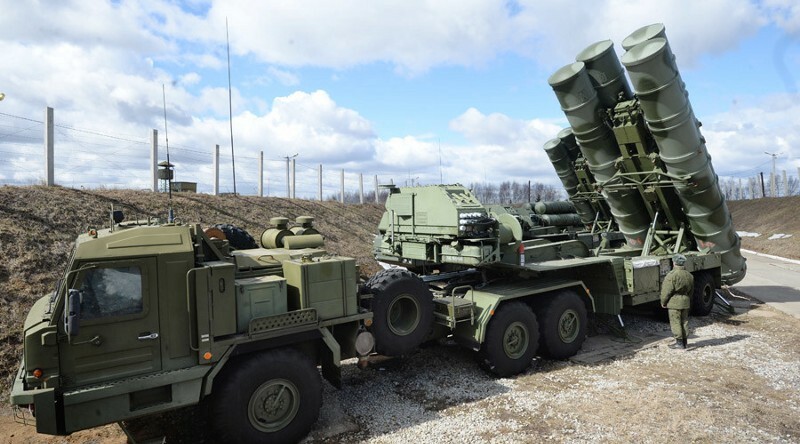 Triad is supplemented by shorter range systems such as Bal and Pantsir that provide protection to the far reaching weapons on mobile launchers. In some regions naval assets, such as Cruise missile carrying Buyan-M corvettes, supplement the land based components. These missile systems are necessary as Russian Air-Force is unable to operate in hostile airspace defended with modern SAM or fighters. As everyone knows, Russia established full control over the Crimean peninsula. This allowed Kremlin to fortify the Sevastopol unchecked and all parts of the AD/A2 triad are present with addition of significant motorized infantry and aviation assets. Russia met very little opposition in Crimea and Ukraine hasn’t been able to even consider retaking the area as it’s fully engaged with the Russian forces masquerading as separatists in Donbass. How does Balkan fit into this picture? While the world’s attention has been focused to Syria and Ukraine, several faint signals have emerged from the Balkans. Several Russian high level politicians, starting from President Putin, have recently visited the pro-Russian governments and organizations in the region. Tensions have been mounting in several hot spots. Several attempts by foreign actors were aimed to destabilize Macedonian elections. A referendum in the Republika Sprska, the Serbian enclave in Bosnia, has sparked very harsh rhetoric from the other parts of the Bosnia-Herzegovina. 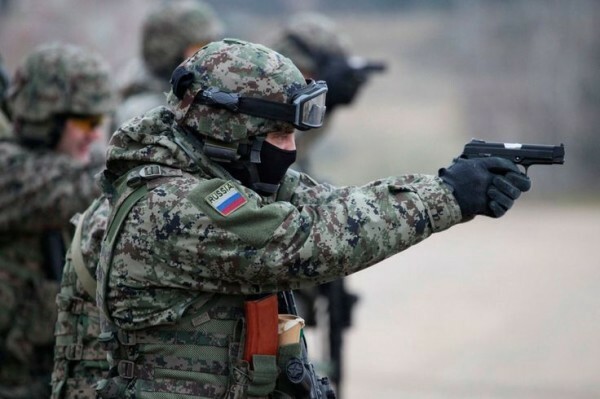 Russian air-force and Special Forces have conducted several combat drills with the Serbian army this year. Some of the training exercises have included unconventional scenarios and “peacekeeping” styled interventions. In September a meeting of the Cossacks living in the Balkans was held at the Kotor, Montenegro. Meeting was the founding point of the “Balkan Cossack Army”. Organization is driving to “Unite the orthodox world”. It’s styled with a paramilitary structure and boasts having 26 chapters, sized around 50 “Cossacks”. Building of paramilitary and extremist forces abroad is an age old tactic. The wounds between ethnic groups in the region are still deep and there is no shortage of angry young men looking for a purpose. This has been painfully illustrated by the sheer number of Bosnian Muslims that have joined the global jihad. Russia is clearly preparing for a possible escalation of relations in the region. A spark into the powder keg and general mayhem would suit Moscow very well, especially if they would be “forced” to send in a peacekeeping force in to the Republika Sprska. Kremlin used the same ruse successfully in Georgia and Moldova. A peacekeeping force, for example a mechanized brigade, could then be expanded into an AD/A2 base by the usual excuses. With long range missile capabilities in Moldova, Bosnia, Belarus, Crimea and Kaliningrad Russia could hinder any and all NATO operations in the Eastern Europe. With a missile base in the Baltic Sea, for example in Gotland or Åland the encirclement of the former Warsaw pact countries would be complete. At the moment Russia has a strong strategic position. It can launch rapid military operations with significant heavy elements with a moment’s notice. While Russia is certainly not capable of winning a conventional all-out war with NATO, it can challenge the alliance in certain regions. Russian advantages are declining slowly. NATO is waking up, passive Obama administration is on the way out and Russian economy is in a deadly spiral. So if the Kremlin is going to leverage its military advantages, they will need to do so soon. While Russia is preparing for a large scale war, it’s also evident that the Russia isn’t concerned about major nuclear war in the near future. If Russia was anticipating a nuclear exchange, it wouldn’t leave its Northern Fleets ballistic missile submarines undefended as it has now done. Forecast for the winter is: Subversive action in the Balkans and across the continent, continuing war in the Ukraine and Syria and a possibility of a limited conventional war in Europe.